Cabasse introduces new MT31 speaker range | What Hi-Fi? French speaker manufacturer Cabasse has a new speaker range, the MT31, derived from the firm's flagship La Sphere and L'Océan products. 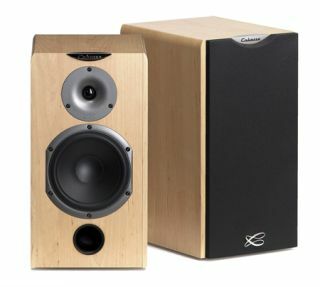 The Cabasse MT31 (Midrange Tweeter) line-up replaces the MT30 range. There are six models: the Antigua standmount speaker (£458/pr), Tobago (£598/pr), Jersey (£798/pr) and Alderney (£1098/pr) floorstanders and Socoa centre channel (£299), plus the Orion active subwoofer (£549). All the new products feature the DOM 37 midrange-tweeter drive unit with a new diaphragm made from Peek thermoplastic film, an expensive polymer chosen for its high thermal and mechanical resistance and good damping characteristics. The diaphragm is coupled with a powerful magnet assembly and new design of horn profile. Cabasse says the low-frequency response of the speakers has been improved through the design of a new port, which is vertically mounted and downward firing. The MT31 range is available in Wenge and Maple finishes, and there's no price increase over the outgoing models.